the moon looks different size by the contrast. through the tree in front of you, moon is smaller than the leaves. but if moon was raising against the downtown building, it was huge. size of the moon should not be changed. if changed, this planet will be effected so bad. however, blue moon or harvest moon look bigger to me. 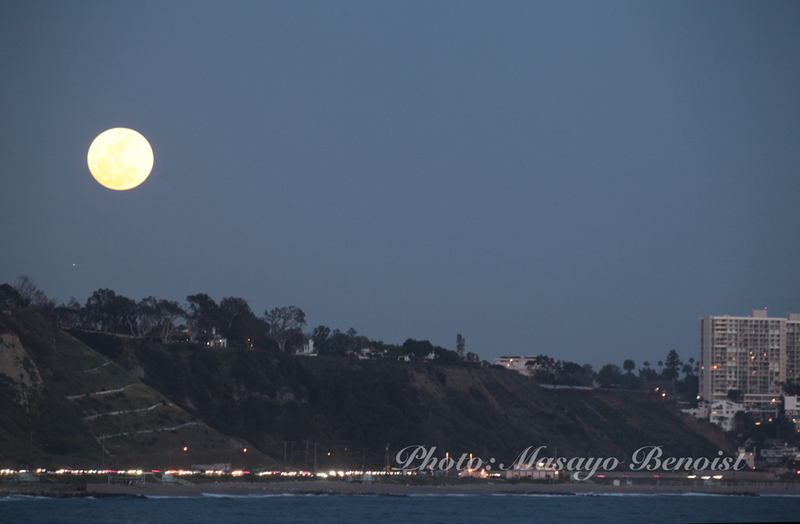 today, I took “big moon” pic. this was 10 min late though, looks pretty big eh? next full moon, I want to take more dramatic moon. Kaho Koinuma (Japanese, raised in NY), she is a Mandara Artist. She was invited to some Event by Dr, Emoto who is famous person by the movie “what the blieap Do I know”. she is drawing Mandra from her heart. she is a prayer. meditation is a part of her life. so, during this silent retreat, avoiding every INPUT as much as possible like PC, TV, chattering, even eye contact. silent means “no mind noise”. looking at myself. what do I really want? what I don’t want? I are looking for deeper and deeper. when I totally got to the silent moment from the mind noise, suddenly some mandara image come up from somewhere. then, I draw that. wow, it was really exciting. strongly recommended. she is totally bilingual. The simple activity stop my mind. if you use your body, eyes, and fill yourbody with some sounds from yourself (ex: humming / Uujayi breathing of Yoga or something like that ) and concentrate on that sound, it’s easy to stop your unnecessary thinking. try it! it’s exacty Yoga, or IROHA Callygraphy bleathing meditation, Hiking, Skying statement… everything is a kind of meditation. but more simple meditation is, the cleaning (with small humming). today, I did it 4 hours. I did deep cleaning inside of the closet. Zen buddist monk is cleaning a lot. I am wondering if they feel same way? is there “tiny old man” in their consciousness and direct them? I feel great now. my pain & flue are totally gone. it was great practice of mending which I am not good at, and meditation at the same time. When I was in Japan, I hated the people who speak mix language. I felt they shows themselves bigger like “I know the world”, smarter, and sarcasm. I was really judgmental about that. now I am living in LA over 12 years, even my English is not so improved though, my Japanese is getting broken. a lot of Japanese people who lives in U.S has a kind of same problem. however, here I am! I am the one who speaks mixed language!! oh! I have a good idea. I ll use fake Spanish instead of Japanese! I have to use my English brain and Japanese brain separately. that was pretty manic week. I was hyper. body temperature was warm too! and this week, I am a kind of down like sick. this cycle is my bad habit. the day before, I felt pain with my Liver, and my friend Yukiko said “put the KONNYAKU plaster!” which is Japanese food like Jero made by Yam potato starch. heat the KONYAKU cake in the boiling water, and wipe and wrap by the towel and put on my Liver. felt happy even it was really stink! I was lay down with KONNNYAKU plaster, and cabbage on my head, and my husband saw me and laughing a lot. hey, this is holistic medication men!! I pulled the rest forward to me. I always do. make myself sick and rest. Yukiko, who recommended me KONNYAKU plaster, she translated “Eckhart Tolle with Opra” in Japanese. might be mishearing, check it out this video. really cool. Living in the moment. actually I didn’t have any pain during watching this video. because so much into it. however the aching coming back, I would love to ask my body what is the connection of this pain and my habit or emotion. why not take advantage of my pain. I would accept and release. The Happiness or Sadness, everything is just your mirror. “if somebody slap your face, you must get angry. but if somebody said “hey, how about I ll pay you $10,000 per slap ?” I think you would smiling for every slaps”. so, happniness or sadness is just your stuation of mentality. anyway, things are just happened. thing itself does not have good or bad, happy or sad, right or wrong. just happend. but we always coloring. it means, everything is just MY mirror. it means happiness or sadness and more, everything is under MY responsibility. but to tell the true, I did same kind of excuse and I react because I have same habit. but I don’t think we have to regret about that. everything, let go. and surrender! this would be my mirror. Accidentally, I hosted “Oneness Blessing DEEKSHA” work shop to becoming a giver. it was really busy week though, my client let me move the schedule it means “go for it”. I ve got the DEEKSHA 4 – 5 years ago, and loved it. it was night time with candle light I remember it was sooooo bright and could not open my eyes. my friend Mayu, she asked in the beginning “Does it really work ?” and at the end “How come I am crying so much!!”. at that time, however I loved it, to be a Deeksha giver, it took 21 days in India only. and cost so much. but these days, for preparing 2012, Mr Bhagavan allow to make a tons of giver in brief time WS and initiation. so I hosted. whole 2 days, seeing inside of myself, meditation, meditation, mditation with 20 people. and I kind of realized everything is MYSELF. that I knew already in my head but this time in my HEART. so, now I am officially, Deeksha Giver!! I realized that my favorite album “Sacred Chant of Shiva” which is official album for Deeksha, it was made by Ravi Shanckar who is on the documentary movie “Gaia Symphony”. I didn’t know even I ve listening that album for over 4 years! it was our first Deeksha time. I sometimes try to show myself much more cleaver or something special. that is getting far from “ONENESS”. people born from oneness, and getting to be a special, and going back to oneness, that could be aging, could be awaking. Mrs. K, she has 3 grand children. she has strong relationship with whom world wide famous spritual people like Dr. EMOTO or Dr.Caroline Myss. actually a lot of Japanese spritual people asked her to help when they come to U.S.
she is totally far from ego, and she is very innocent and has precious heart. and all the time she scream like Japanese school girl. we went to hiking together. she says so many cute things. it was so funny. don’t need think with your left brain. just feel it. her innocent heart influenced me. just have a fun! Yay!! 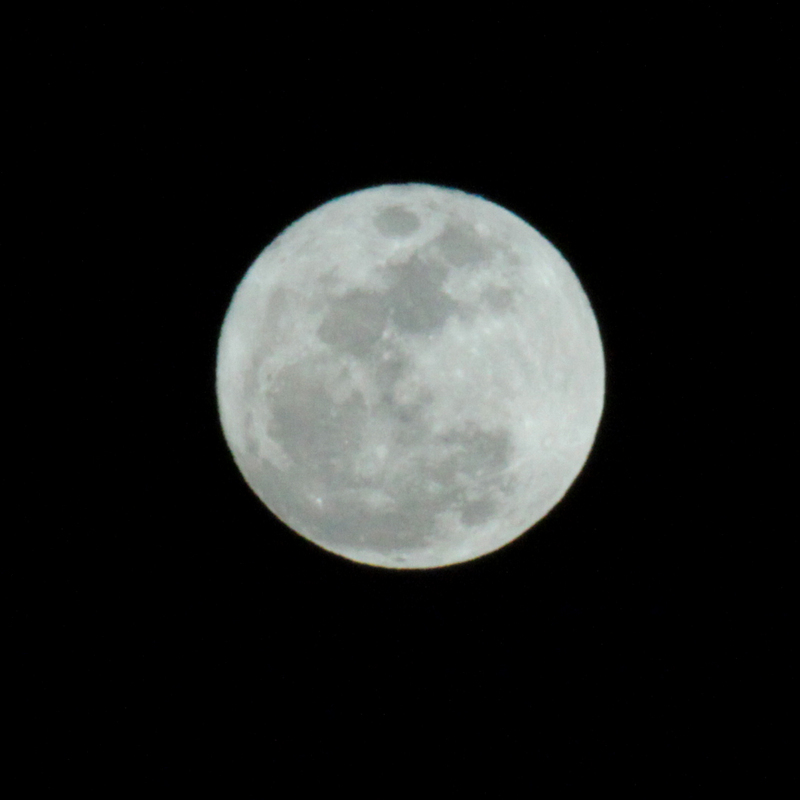 this March, we have 2 times full moon, it calls “Blue Moon (first moon and full moon)”. we went to “Sunset moon rise” hike. around full moon time, moon rise is almost same time. I learned this fact after I started to live in LA. after moving to LA, a lot of people talk about SUNSET or something like that. that is the one of the reason I love in LA so much. anyway, tranquil red moon was rising above Century city, it was huge, so huge…. like queen is coming up on the stage. the place I went, that was the place I always call my friend KANAKO who passed away last December by cancer, she really loved sky watching, so I reported for her often. and she complete her life on the full moon day. after that this is the 3rd full moon. coincidence or not, this time I was watching with 3 people, all of them are KANAKO’s friend. after the midnight, I sang Green Tara’s mantra, and did Lakshmi dance with shaking my wallet. this is one of the lucky activity, which my friend thought. I usually make fun of this kind of stuff though, I would do anything good for money right now. ha ha ha.